Till now third party apps for iOS were running on iPhone and not on the watch. This will change with WatchOS 2, meant to debut this fall. The much awaited wearable from Apple was launched 6 weeks ago, but has only just begun to be compelling. Today, at WWDC, apple has announced new Software Development Kit which opens entire watch functionality to developers including the digital crown, health and orientation sensors and Taptic feedback engine. This is good news as it will make fitness apps a lot better and accurate on the Apple Watch. Apart from the SDK, Apple also announced several other features for the Watch. You can now reply to emails, turn your watch charging on nightstand into an Alarm clock, avail a new Time travel App, which lets you fast forward your calendar using the digital crown, access Apple Pay and Transit App and more. Developers won’t get to design custom watch faces, but users will get an option to put personalized information including their photos on the watch face. A time lapse watch face featuring popular cities like London and Shanghai will also be added. 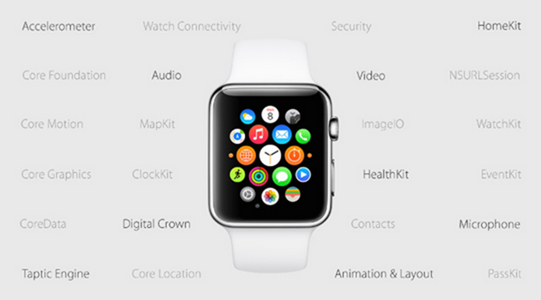 “Compilations” will allow apps to put specific information on the watch front. 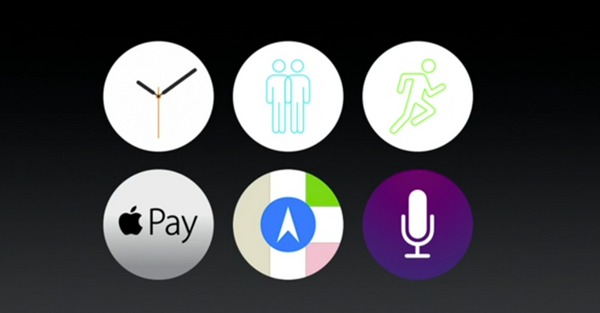 The new proactive Siri in iOS 9 will have control over the Apple Watch too. You can say “start a 300-calorie run” to begin a workout and get notified when you achieve this goal. Short videos from News App can also be watched on the Watch. On the whole, the WatchOS 2 will make the Apple Watch a lot more potent – the way it was supposed to be from the start, especially at those prices. You will have to wait till the fall to benefit from all these changes. Developers will start working on the new SDK starting today.